Caliente Vertical is available from stock in RAL 9016. The colours shown are reproduced as accurately as this process will allow. The Caliente Vertical is available in white (RAL 9016) as standard. The Caliente is a stylish tubular design and is available in single and double tube versions. With an elegant tube-on-tube design consisting of a tight array of slim tubes makes the Caliente an easy choice for any modern, contemporary or period interior – perfect for adding that little extra ‘pizazz’. 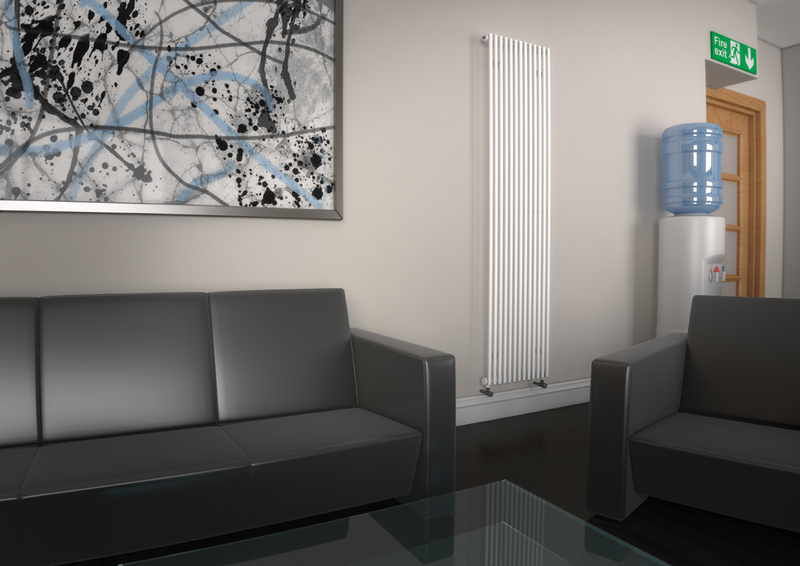 It has the high quality construction and paint finish that you would expect from a quality Stelrad radiator. Widely available and offering an aesthetically pleasing design without compromising on effective and stylish warmth, the Caliente is a popular choice. As a measure of the all-round dependable quality and performance, the Caliente range comes complete with a 5 Year Manufacturer’s Warranty.